Hi guys, I apologize for the lack of posts. I’ve been busy this past month planning, decorating and having my church’s Vacation Bible School. I will begin my normal uploading schedule this coming month. This entry was posted in Bible Crafts, Updates and tagged update, Vacation Bible School. 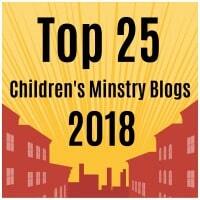 This is a quick post letting you know that tomorrow I will be posting my yearly VBS poll. You will have a week to vote for your preferred VBS curriculum. Remember that I only create crafts for the top two VBS curriculums, so make sure that you get your kids ministry team to vote as well. I will post the results of the poll on Sunday and I will begin posting the crafts in March. This entry was posted in Bible Crafts, Updates and tagged 2018, bible crafts, crafts, V.B.S. 2018, Vacation Bible School, VBS. Hi guys, I apologize for being gone for a month. I have quite a few crafts that are ready to upload, but I’ve been quite busy. Our children’s ministry has dedicated the last month to planning and actually having Vacation Bible School at our congregation. We had a wonderful week, the kids had a blast, but more importantly, we were able to present the Gospel message to every child that attended. Here are a few pics of the decorations and a group pic we took of the kids at the end of the week. The Teaching Room- We painted the images with UV paint. This entry was posted in Bible Crafts, Updates and tagged decoration, galactic starveyors, Lifeway, update, Vacation Bible School, VBS. These are the crafts that can be used with the Lifeway- Galactic Starveyors V.B.S. program. I will be slowly uploading new crafts in the next coming weeks. This entry was posted in 2017, Bible Crafts, V.B.S. 2017 and tagged bible crafts, galactic starveyors, Lifeway, Vacation Bible School, Vacation Bible School 2017, VBS, VBS 2017.